Tobacco has always been sold by leveraging the beauty of young women. Here is a "Virginia Slims"-esque ad from the 1880s. 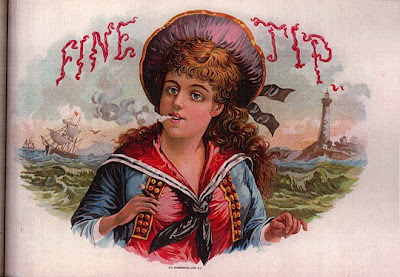 A young woman showing off her Fine Tips cigarette.